Crispy and spicy, these Wasabi Peas are the ultimate little snack that will leave your taste buds wanting more! 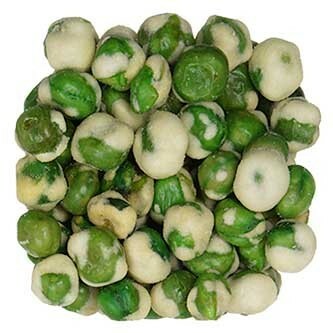 Try our Wasabi Peas today as a snack or add it to a salad for an interesting, crunchy kick! 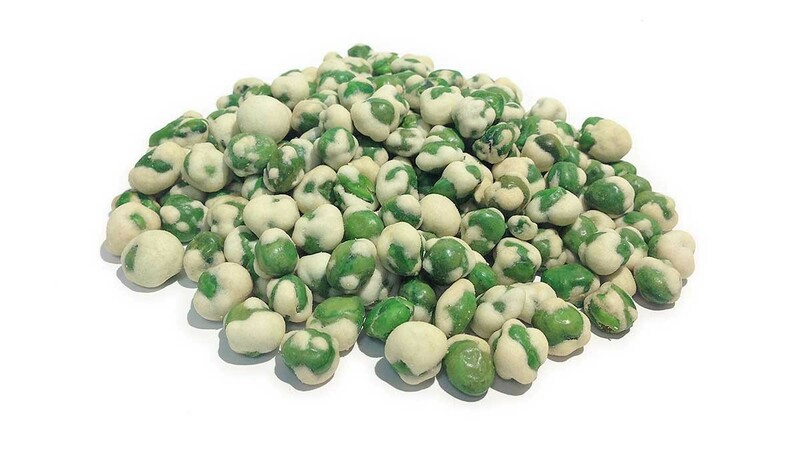 Wasabi peas are dehydrated peas with wasabi seasoning. They are not only a great way to satisfy a salt craving but they also have a spicy kick. Let your taste buds savor the depth of flavor these will add to your soups and salads, and they are also a great addition to a trail mix blend. They are a perfect way to add some sass to a tuna or pasta salad or simply eat them by themselves. 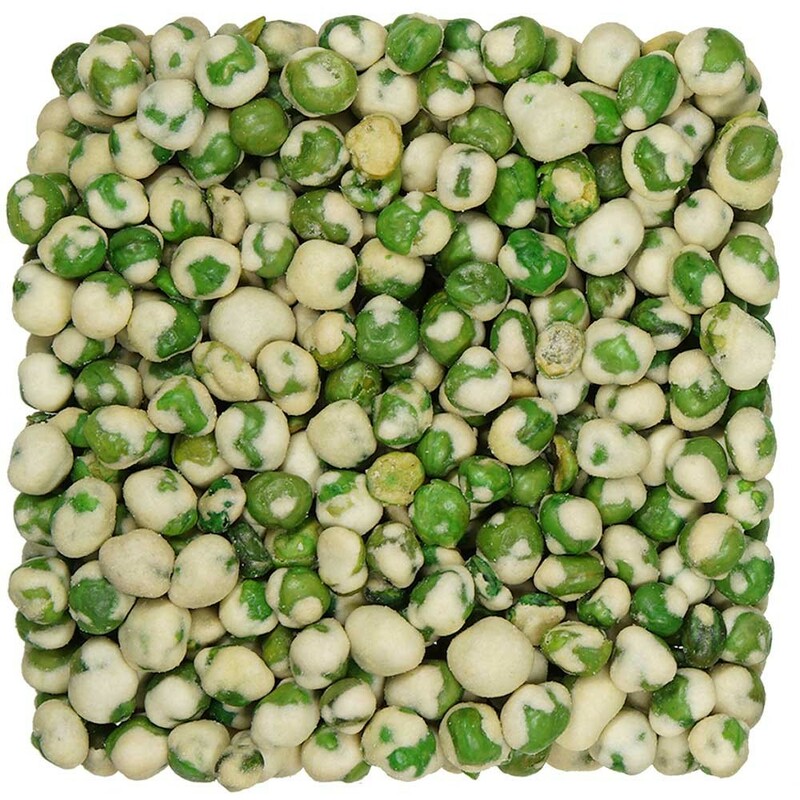 One ounce of wasabi peas have about 4 grams of fiber and 6 grams of protein. According to the Mayo Clinic that is 16% of daily fiber required for women and 11% for men. It is also 13% daily protein for women, and 11% for men. Easy to store and travel with they also have a long shelf life. Peas, Corn Starch, Wasabi Flavor, Liquid Sugar, Palm Oil, Sea Salt, FD&C Yellow #5, Blue #1.